PST File Suddenly Empty while re importing back into Outlook – Help! PST file will get empty and show you 0KB file size, when it gets corrupt or damaged. On PST file corruption, it makes entire stored data i.e. your emails, contacts, notes, tasks, etc. unreachable resulting in empty PST file. Though PST file contains GIG’s of data, it shows empty when loaded. Is it actually right for the person to whom emails are very much important? No, not at all! In such case, you can use inbuilt repair function. It is an inbox repair tool, most commonly called as Scanpst.exe, but it is not recommended as it directly performs repair on corrupt PST file thereby creating more chances of further corruption. So, what needs to be done next? Try out our highly advanced and expert recommended Remo Repair Outlook Tool for FREE. Its read only software that does not make any changes in source PST file, ensuring secure PST repair operation. Allows real time preview of repaired Outlook with all recovered PST items. How to Fix Empty PST File? Sharing PST file over unsecured network, where other users are allowed to modify your PST file. 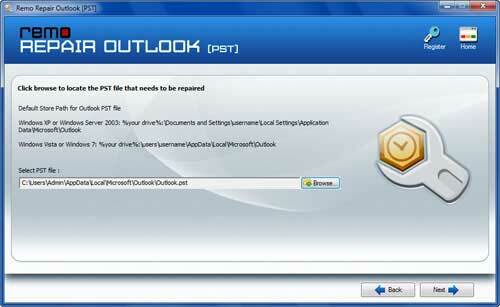 Oversize of PST file would corrupt the PST file header as each version of Outlook has different file size limit. System crash when Microsoft Outlook is still running might corrupt PST file and make entire data inaccessible. Errors while compacting Outlook PST data file can damage PST file thereby making you to lose all data resulting in PST file suddenly empty error. Intrusion of harmful viruses on your computer would also impact Outlook application, which in turn leads to generation of corrupt PST file. Bad sectors on hard disk where your PST file is saved causes damage to the file and make entire PST file empty causing loss of emails. All these types of PST file corruption issues can be easily fixed with the aid of our most comprehensive Remo Repair Outlook software. 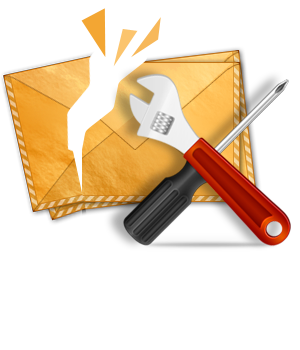 The most important note about this repairing program is that, the PST file which is created by our Remo Repair Outlook tool after scan and PST file repair process can be easily imported on various versions of Outlook. Remo Repair Outlook software uses its inbuilt scanning algorithms to scan corrupt PST data and identify all recoverable data. Then using its repair strategies, the application will efficiently repair PST file with emptied data thereby recovering all items on PST file that includes your emails, notes, tasks, calendar entries, RSS feeds, etc. Outlook repair program can fix Outlook empty PST file on all Outlook versions starting from Outlook 2000 to Outlook 2013 with ease and utmost accuracy. Hence, if you are craving out for software to perform recover messages from Outlook 2003, then step ahead and try Remo Repair Outlook software that repairs 2003 PST file and recovers all email messages without missing a single file. Remo Repair Outlook is Microsoft Certified software. Trained technical support is available 24 * 7 on all 365 days of year with live chat. Outstanding graphical user interface with detailed explanation and screenshots. Facilitates with “Find” option that helps you search PST file, if you don’t know the location of PST file. 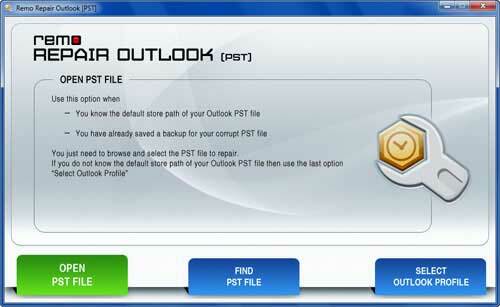 Step 1: In order to repair PST file with emptied data, you must download and install Remo Repair Outlook application on your computer, and after installation you can launch the program and choose any of the three options available on the main screen. Click on “Open PST File” option, if you know the exact PST file location. Use “Find PST File” option to search for the PST file (or). Select “Select Outlook Profile” option to open the specific corrupted PST file if you have multiple Outlook profiles. Step 2: From the next slide, you will be provided with two types of scan mechanism there you can select normal scan if your PST file is less corrupted and if the PST file is severely damaged then smart scan can be the best option.